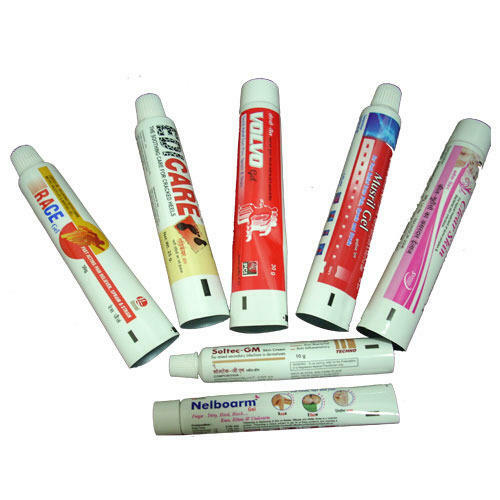 Prominent & Leading Manufacturer from Indore, we offer mouth ulcer gel tubes, medicine tube, antiseptic cream laminated tubes, ophthalmic tubes and pharmaceutical tubes. 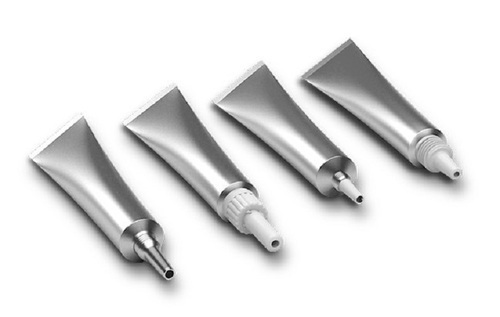 We are a trusted organization engaged in manufacturing, supplying and exporting Mouth Ulcer Gel Tubes. 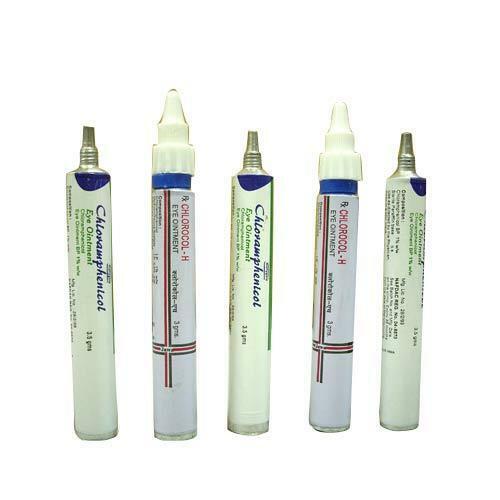 These gel tubes are highly efficient in providing complete relief from ulcer. Suitable for both adults and children, these gel consists of unique constitution that provides instant relief from the pain. Applying these gel after 3-4 hours gap by clean finger provides maximum relief from ulcer in minimum time. This tingling pineapple flavor gel which helps in reducing pain. 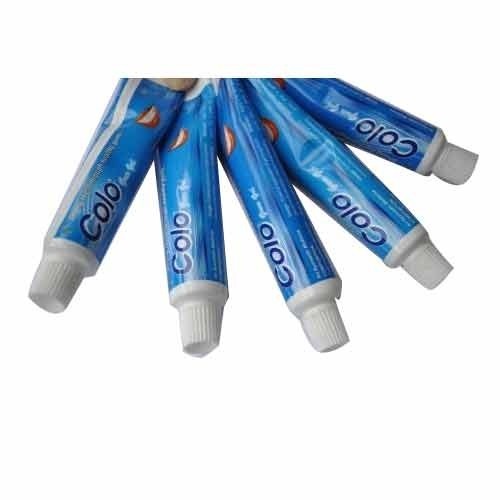 We are offering these qualitative gel in different types of tubes to suit the needs and demands of our valued patrons. With aid of our creative experts we have emerged as one of the market leaders in manufacturing, supplying and exporting Medicine Tube. Our products are widely used in packaging of cream, cosmetics and ointment. These tubes are highly demanded worldwide and to meet the high demands of our patrons we manufacture these products at very large scale in our technologically advanced infrastructure. These highly efficient tubes are also used in industrial and food products. Customers can avail these qualitative tubes from us as per their demands. 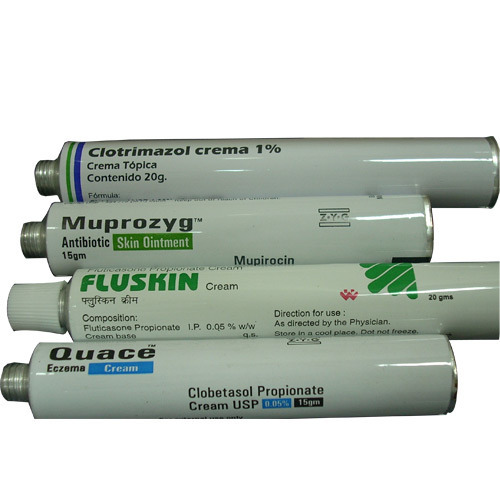 Our enterprise is in league of prominent firms offering Antiseptic Cream Laminated Tubes of premium quality. These tubes are widely used in pharmaceutical and ceramics industries. We manufacture these tubes using premium quality raw material sourced from reliable vendors-base. These tubes are checked for quality at different level of production ensuring quality outcome for our valued patrons. Our team of skilled professionals enabled us to provide customization facility to our esteemed customer in accordance with their needs and requirements. Patrons can avail from us a plethora of Ophthalmic Tubes that are widely used in pharmaceutical industries around the globe. These tubes are manufactured keeping optimum satisfaction of customer in mind and so are checked for quality at different levels of production. Our products are manufactured using premium quality raw material sourced from reliable vendors. These products are then manufactured using modern tools and high-grade machineries ensuring highly efficient products at customer's end. Backed with technologically advanced infrastructure, we have enabled ourselves to provide hygienic Pharmaceutical Tubes that are widely used in pharmaceutical industries. Our range of products are highly reliable as they are manufactured using high quality raw material procured from trustworthy and certified vendors in market. These raw material are then fabricated to premium quality pharmaceutical tubes by a team of dexterous professionals using high grade tools and modern machineries. Our products are designed to meet different packaging specifications such as coating, annealing and critical tolerance for wall.